Should You Blog In Hindi or Urdu? In the past few years, the worldwide aptitude towards blogging has been growing, and millions of blogs have now surfaced. Whether the purpose be to earn money or share opinions or educate people, one thing is for certain. Almost everyone (except for maybe a few personal blogs) is looking for audience to engage with on their blog. Now while communicating with these people, the communication medium needs to be taken into consideration. We have been reviewing some top bloggers and blogs in different countries, and we have gotten a better insight into how important language is for your blog. So the big question for tonight is, should you blog in Hindi, or Urdu, or any other traditional native language? And 'should you blog in English only? Language is the most powerful communication method, and more so in written than in verbal communication. So if the other person can't understand the language you are talking (or writing) in, then your talk is just gibber-jabber to him. During our research on the top bloggers, we came across lots of blogs that were in the respective native languages. True, it made things difficult for us. But it made me think about how powerful language really is, and how much we take for granted when we come across a website or blog that's in a language we understand. So what about those people who don't understand the blog's language? Well, to them, that blog's a dead-end, shut off for them probably for good. Hence, the reader will bounce. So in writing in a language unknown to a group of people means you're shutting them off, and not doing really good on the user-friendliness front. The most spoken language is...? Well, some might argue, that English is not the most spoken language in the world, with a share of just 5.52% according to population of speakers. Well, I think we can safely count out Chinese (Mandarin) (with a share of 14.1%) because it's spoken majorly in China, and China wins on the basis of sheer number of people. Then is Spanish with 5.85% of the world's population speaking it. Well, these demographics are a bit sketchy. These 'official' statistics take into account native speakers only. Looking at the bigger picture, English is spoken in over 137 countries, whereas Spanish, in contrast, is spoken in less than 30 countries. Hence, English might not be the most spoken language, but it sure is the most common, and the most widely-understood language in the world. Now i am sure most of you know the significance of shutting down your blog to such a large audience across a wide range of countries. Our blog post about the top blogs in the U.S effectively includes some of the top blogs in the world, since the U.S is the world leader in the industry. 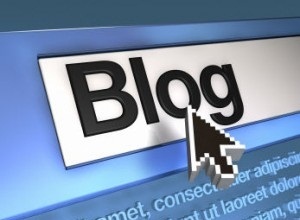 Now, how many of these blogs are in English? All of them! Granted that English is the native language in the U.S. But these blogs are the world leaders, and have audience from almost every country. English has sort of become the standard nowadays, and good English is the mark of professionalism. Hmm, interesting that you ask, because that's a good question. There are many translator services available, and I have one installed on my Chrome. But that's beyond the point. Suppose I have a great blog about technology (I wish :P), but it's in Urdu or Hindi or Chinese or whatever. 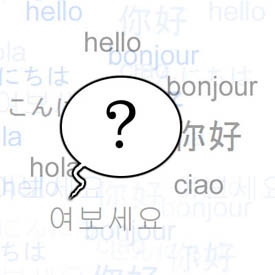 Now what would the average English-speaking searcher write in Google? 'iPhone 5 specs' maybe, or 'windows 8 news'. Will my blog come up in the search results? Of course not! 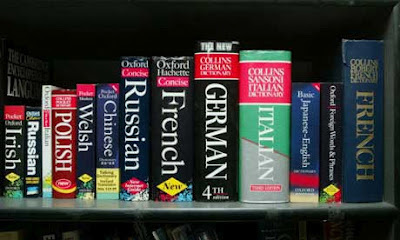 Translators are there just to assist the reader who's landed at your site. It won't bring in extra readers.